Fiscal sponsorship projects depend on donations from caring individuals like you. Please select and donate to a project from the listing below. TSNE MissionWorks' Fiscal Sponsorship program is home to more than 90 initiatives working on a range of issues, creating positive social change in your local area and beyond. 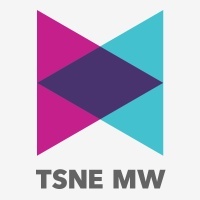 TSNE MissionWorks (formerly Third Sector New England, Inc.) is a GuideStar Exchange Seal member. Do you want to include memorandum? Donate 100% - Add 3% so that 100% of the donation goes to TSNE MissionWorks. TSNE MissionWorks has partnered with Network for Good to securely process your online credit card payment via Network for Good (tax ID 68-0480736). This transaction will appear on your credit card statement as "Network for Good." This transaction is subject to Network for Good’s Privacy, Security & Disclosure Statement and the Charitable Solicitation Disclosure.